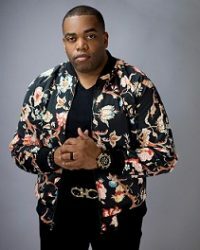 Ernest J. Lee is a producer, songwriter, artist and musician. While playing keys for his church in Detroit during his 20’s, he met Fred Hammond. After service Fred Hammond wanted to meet and fire sparked for Ernest J. Lee to enhance his passion into a career. He later went on to write songs for other legends in the music business as well as new comers. To hear some of Ernest J. Lee’s music look for his Worship Series, Anthems From The Vault Vol. 1 and Let The Healing Begin. Besides music Ernest J. Lee is compassionate about our state of affairs. I had an opportunity, to speak Ernest J. Lee about his new platform on www.iworship96.com titled Unfiltered with Ernest J. Lee and Uncle Ron.